Heber Springs was founded as a health resort and first called Sugar Loaf in the mid-19th century. 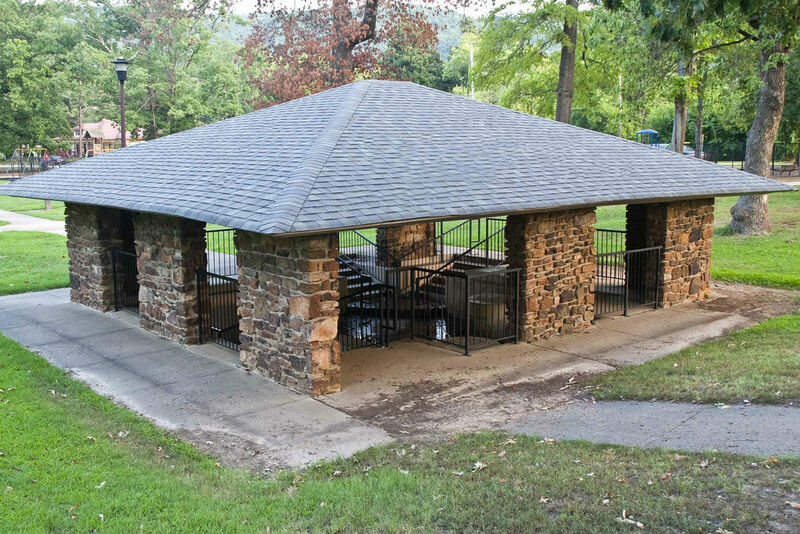 The name was changed in 1882 to Heber to honor Dr. Heber Jones, an advocate of the healing powers of the seven springs, which you can find in Spring Park. In 1910 the name was changed to Heber Springs because of the attraction and power of the healing springs. Visitors came from around the country to test the healing effects of the drinking water from these springs. Timber cutting and logging were the main industries during the early 1900’s which resulted in the building of a railroad to Heber Springs. The bed of this railroad now serves as the foundation of our trail system. The real growth of Heber Springs and surrounding areas was set in motion March 1, 1959, when work on the large federal dam on the Little Red River began. After completion, the lake was dedicated on October 3, 1963 by President John F. Kennedy. After the lake filled, tourism boomed, many businesses opened and reopened, and Greers Ferry Lake became one of Arkansas’ leading destinations. Fifty years later, on October 3, 2013, former President Bill Clinton addressed thousands of Arkansans from the same podium used by President Kennedy to commemorate the dedication of the dam and to celebrate the impact the lake has had on the community. 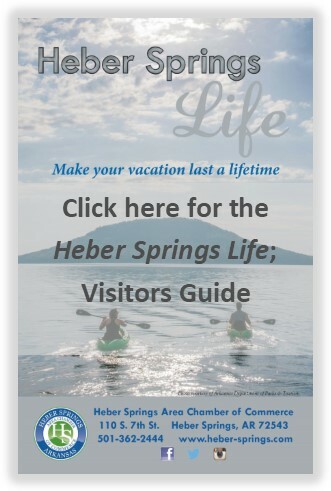 Today Heber Springs serves as a gateway to Greers Ferry Lake and the Little Red River where visitors can stop and explore the historic county courthouse with its traditional square surrounded by gift galleries, boutiques, antique stores, and eateries. 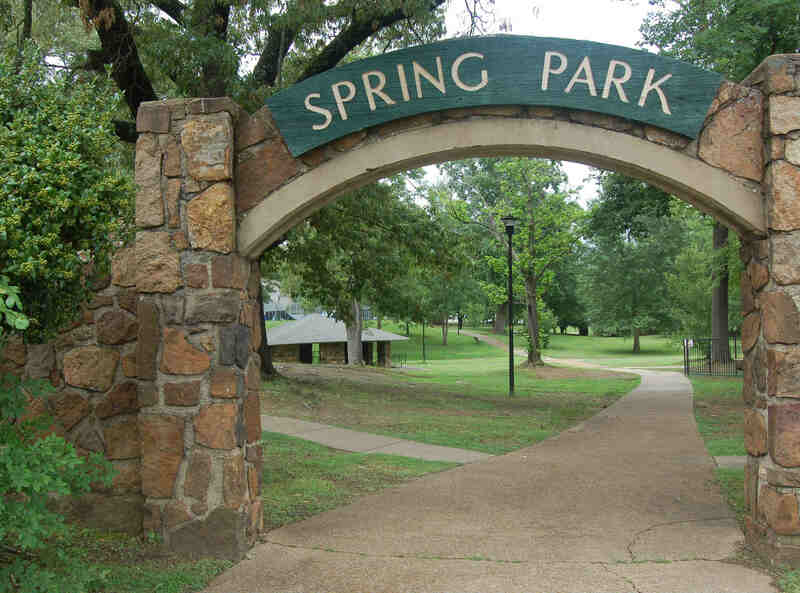 Spring Park, with its seven natural mineral springs that attracted the original settlers to the area, still serves faithful patrons who ardently attest the medicinal properties of the water. This perfect balance of weather, scenery and outdoor recreation continues to attract thousands of visitors and newcomers every year. The City of Heber Springs, with a population of 7,165, provides an impressive quality of life for its citizens with numerous amenities. The Heber Springs Community Center, constructed in 2010, provides residents and guests with an indoor walking track, weight room, treadmills, elliptical machines, indoor basketball and racquetball courts. Aerobic exercise classes are also available including zumba, yoga and silver sneaker classes. The neighboring aquatic center is fully equipped with showers, lockers and family dressing rooms. The center features a therapeutic pool with 93-degree water, jets and benches. Water therapy classes with walking bars are offered on a regular basis. The adjacent lap pool features six lap lanes on one side and free swim on the other. Water and deep-water aerobics classes are very popular year-round. The Spring Park Pavilion was constructed in 2016 for the newly established Farmer’s Market, which takes place from early spring to late fall, every Wednesday and Saturday from 7 am until noon. The Pavilion is also available for private events. 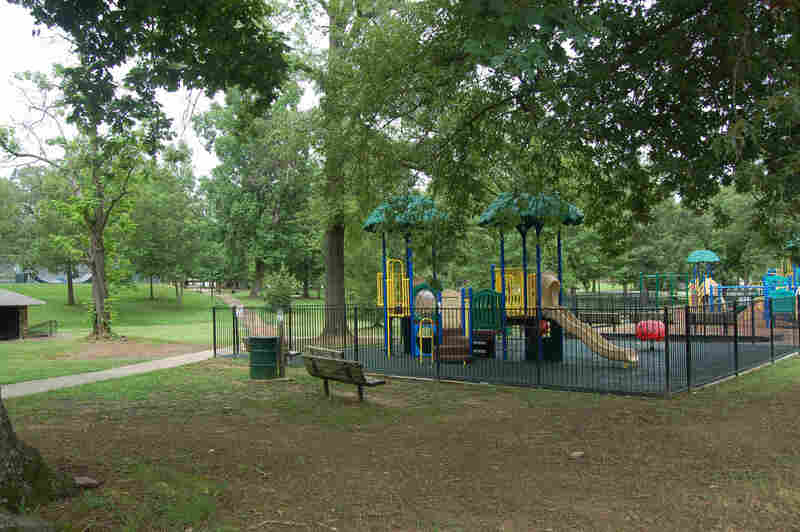 Eagle Bank Park, in historic Downtown Heber Springs, provides a tranquil respite during your extensive shopping spree in our charming shops, galleries and eateries. With a soothing fountain and stunning views of the mountains, you will be recharged to continue exploring downtown. Public restroom facilities are also provided at the park. The Heber Springs Municipal Airport is a public-use airport located 2 miles northeast of Heber Springs. Covering 55 acres, it has an elevation of 632.3 feet and the runway measures 4002 feet by 75 feet. Recognized on the National Register of Historic Places as an Historic Commercial District, Downtown Heber Springs is home to art galleries featuring local and regional artists, beautiful home décor, home furnishings, gift galleries, clothing for the entire family, antiques, and collectibles. Hungry? You can find delicious plate lunches, incredible baked goods, homemade candies & chocolates, barbecue, sandwiches, ice cream and the best coffee in town! 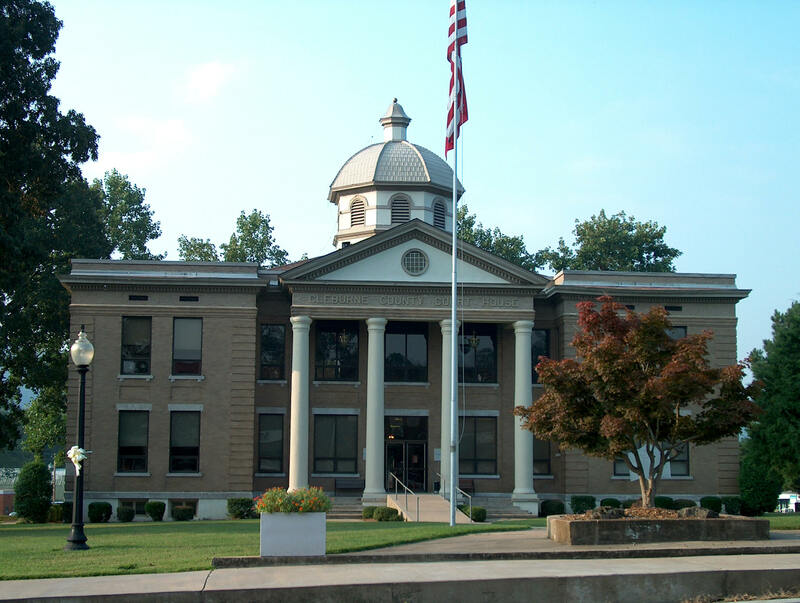 Downtown is anchored by the Courthouse Square and the Cleburne County Courthouse which is listed on the National Register of Historic places. The architecturally significant, two-story brick structure is of Jeffersonian Revival Style. The Courthouse serves as a center for governmental offices in the community.